Many Japanese once revered the wolf as Oguchi no Magami, or Large-Mouthed Pure God, but as Japan began its modern transformation wolves lost their otherworldly status and became noxious animals that needed to be killed. By 1905 they had disappeared from the country. 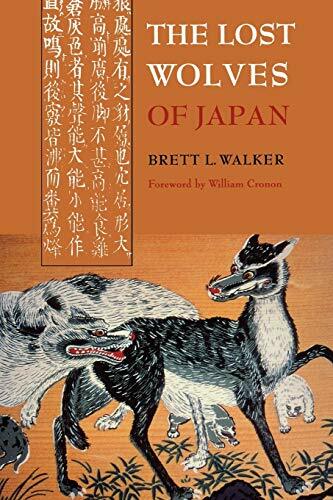 In this spirited and absorbing narrative, Brett Walker takes a deep look at the scientific, cultural, and environmental dimensions of wolf extinction in Japan and tracks changing attitudes toward nature through Japan's long history. The story of wolf extinction exposes the underside of Japan's modernization. Certain wolf scientists still camp out in Japan to listen for any trace of the elusive canines. The quiet they experience reminds us of the profound silence that awaits all humanity when, as the Japanese priest Kenko taught almost seven centuries ago, we "look on fellow sentient creatures without feeling compassion." New in paperback, tells the story of how and why wolves, once considered sacred, became extinct in Japan.